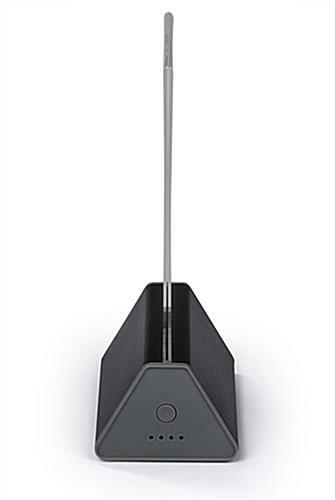 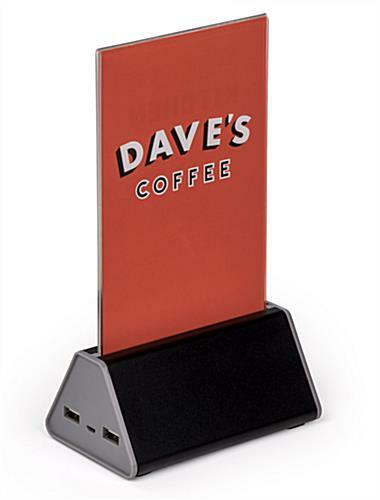 The power bank menu holder will help to modernize your restaurant and provide your customers with a table charging station. 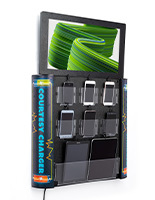 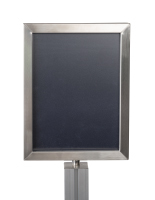 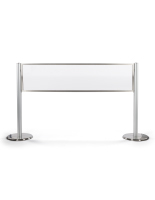 Accomodate your clientele with a fully charged battery while successfully displaying item prices and information. 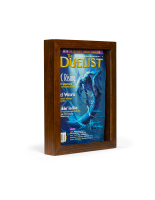 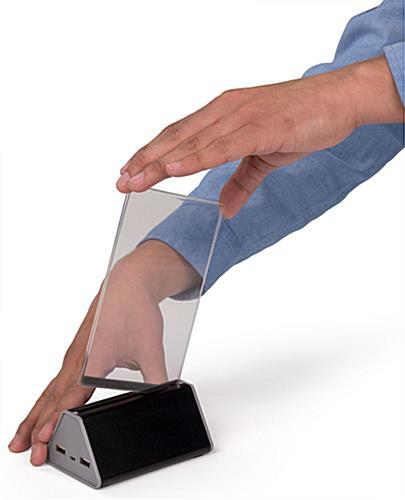 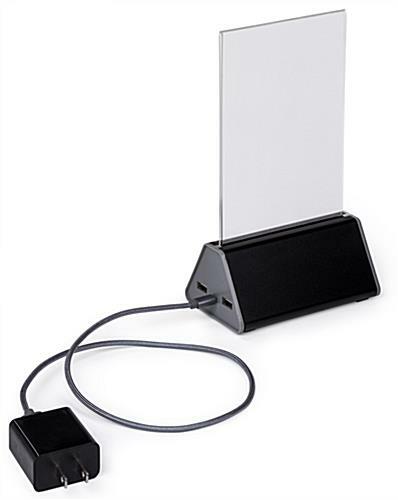 This power bank menu holder features a slide-in, acrylic 4” x 6” sign frame that allows media to be easily and securely displayed. 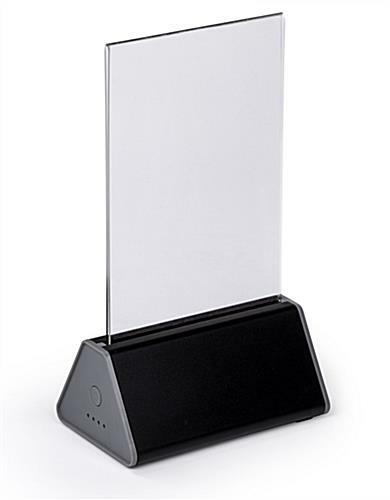 The charging station features a battery life indicator allowing you to clearly know when to recharge the 10,000 mAh device charger. 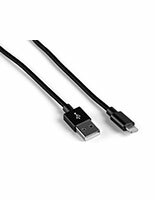 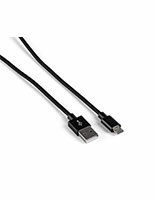 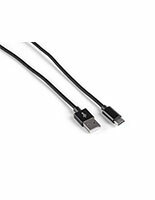 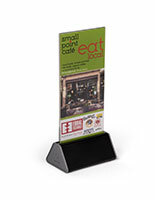 Two discreetly placed USB ports charge multiple devices without blocking signage prices and information. 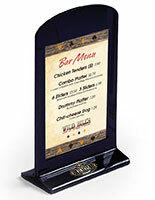 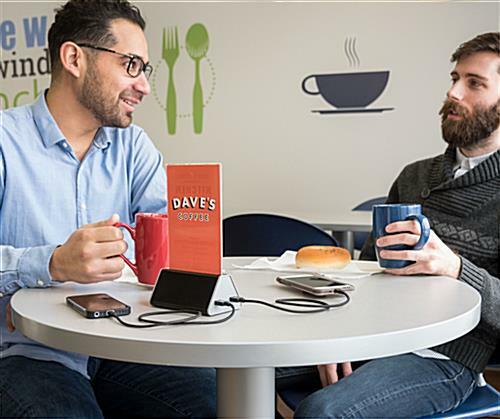 Innovate your restaurant tables with this power bank menu holder and create a special customer experience. 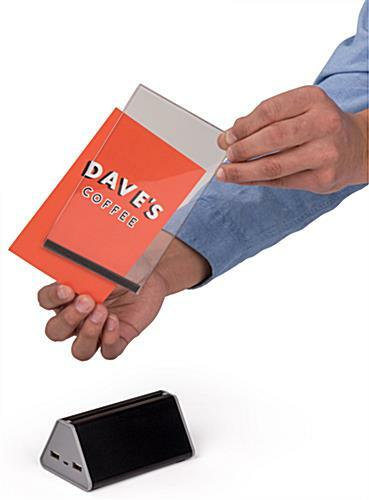 4.6" x 8.0" x 2.8"